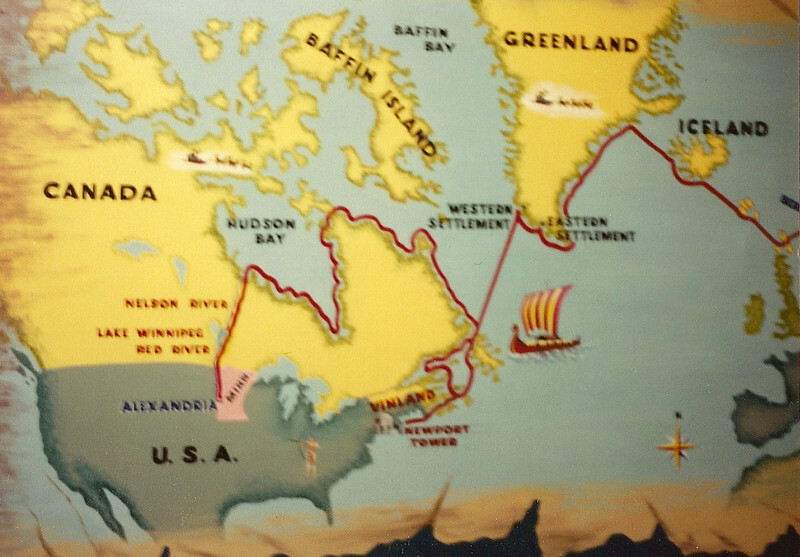 The red line shows the route the Vikings allegedly took to reach Alexandria, Minnesota in 1365. 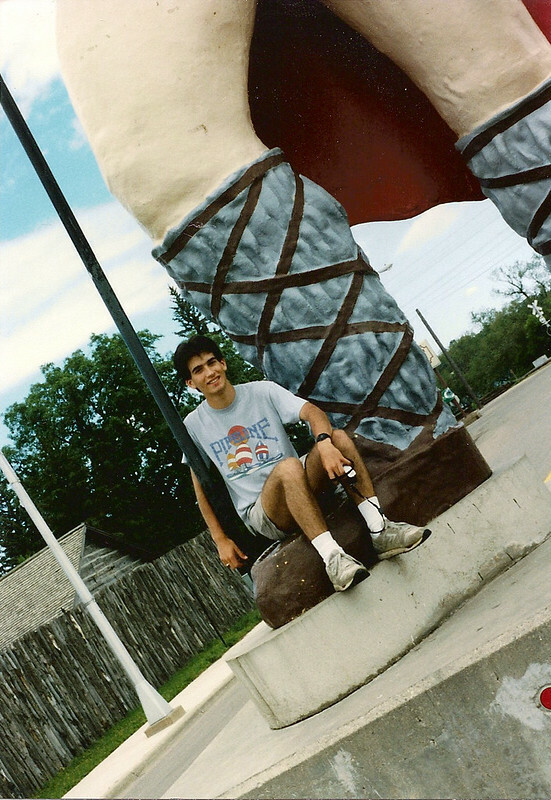 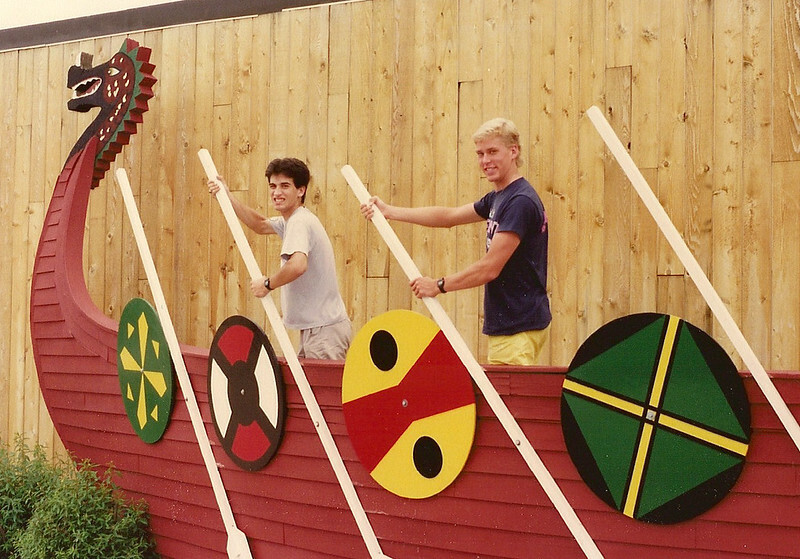 This viking vessel is found in front of the Alexandria Chamber of Commerce. 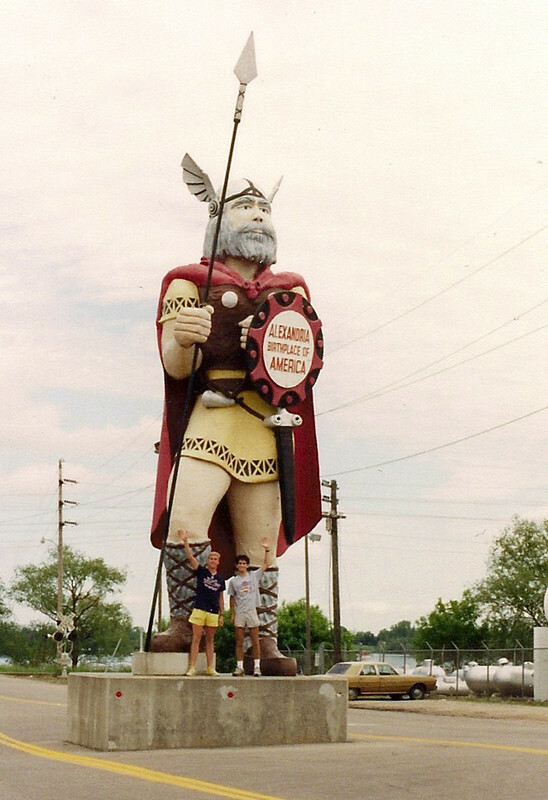 Sean, Chris, and "Big Ole" stand in the street just north of downtown Alexandria, Minnesota. 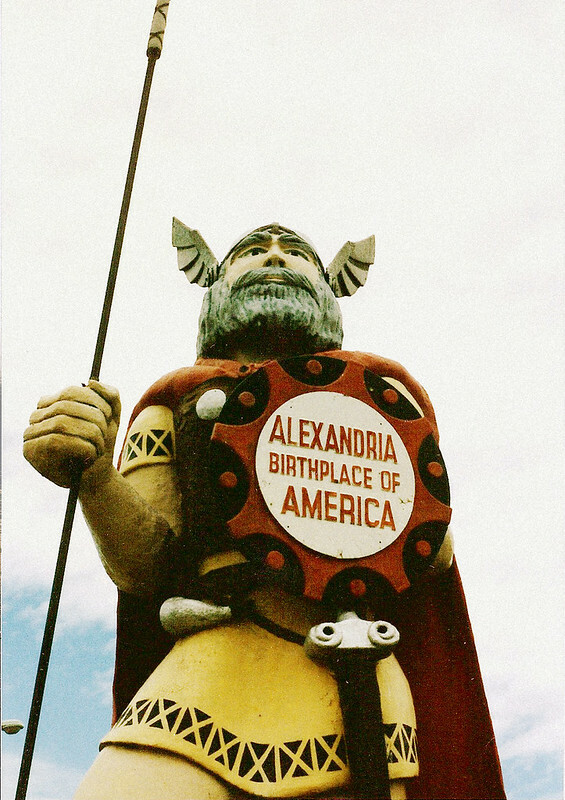 The world's largest viking reminds Alexandria of the region's first white visitors. 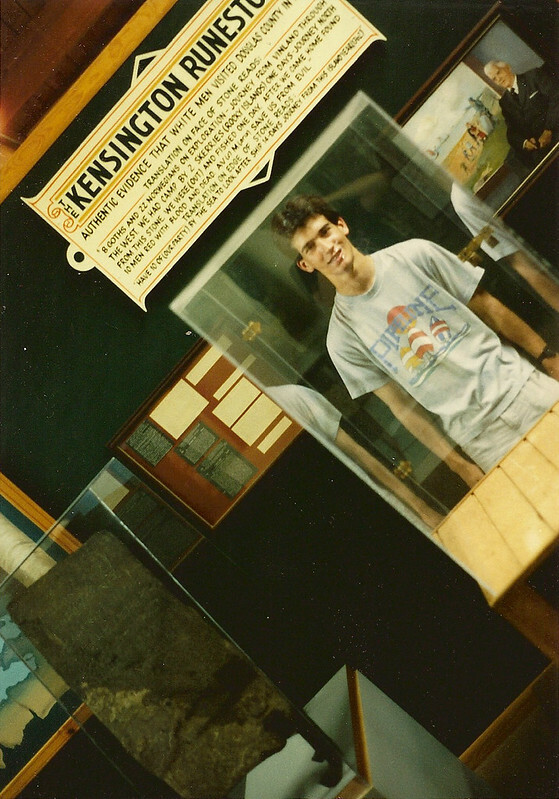 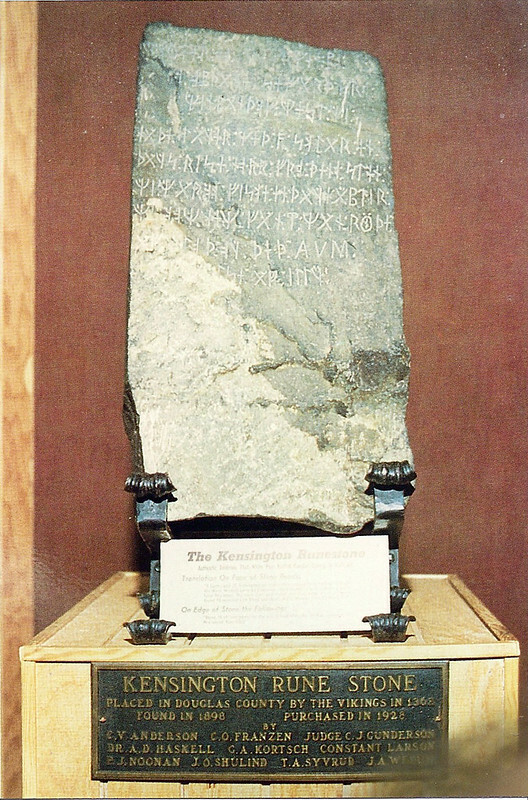 This enlarged replica of the Kensington Runestone weighs over 250 times the original. 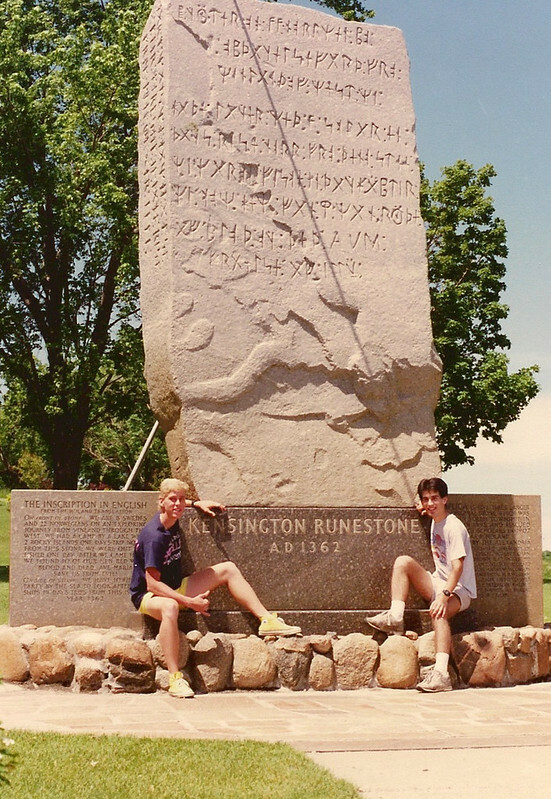 This stone is considered authentic evidence that white men visited Douglas County in 1365.